5 Essential DIY Wedding Hairstyle Tips You Need to Know | Wedding Ideas ARE YOU A VENDOR? Don’t want to hire a hairstylist for your big day? Here’s what you need to know if you’re thinking of a DIY wedding hairstyle. While having the help of a hairstylist on your wedding day is awesome, it’s definitely an investment. 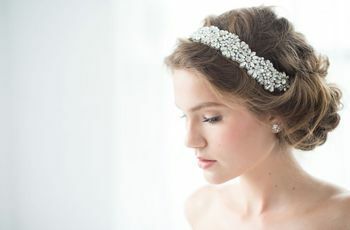 If you’re looking to save a bit of money on your bridal look, you may want to consider DIY wedding hairstyles. Before you start messing around with bobby pins, hair ties, wands and irons, there are a few things you need to know. Here are the DIY wedding hairstyle tips you need to know. You want to have your hair in the perfect Goldilocks condition on your wedding day - not too dry, but not overly moisturized, either. This will ensure that it will hold the style you want all day (and night) long. 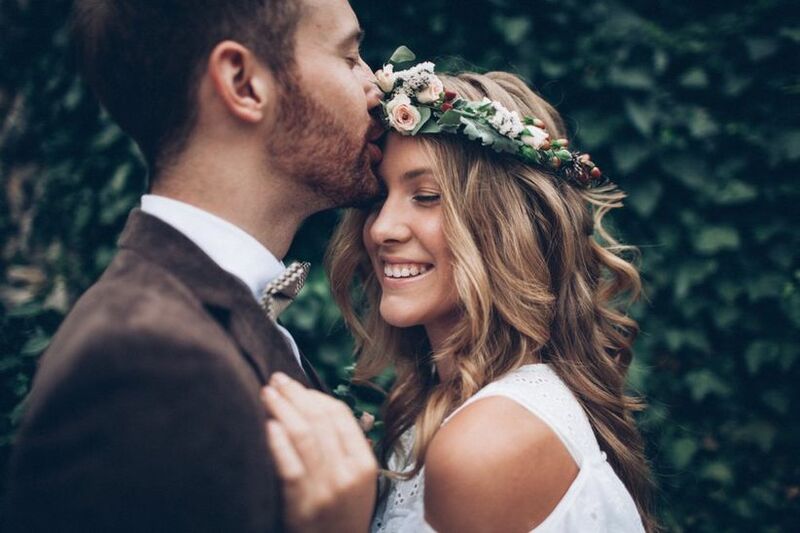 We suggest doing a hair mask the week of your wedding and not overheating or over treating it in the days before. Of course, you know your hair best, so use your judgment! Now it’s time to up your styling game! Whether you’re looking to rock a dreamy flower-filled fishtail braid, a chic chignon or a voluminous down ‘do on your wedding day, there’s guaranteed to be a YouTube tutorial for it. For DIY wedding hairstyle techniques, tune into channels like Luxy Hair, Lilith Moon and Kayley Melissa to learn how to twist, tie, curl and straighten your locks like a total pro. 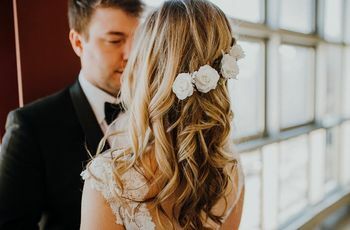 If you’ve got a hairdresser in your inner circle (or a friend who’s a wizard when it comes to styling) ask them about DIY wedding hairstyles that would suit you. 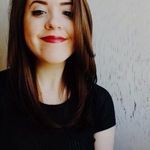 There’s a good chance they’ll be able to help you choose a style that’s perfect for your hair type and length and may even offer to do your ‘do for you! P.S. don’t forget to take notes and/or a video if they offer to give you a one-on-one tutorial - you may need to look back at them when your wedding day arrives! 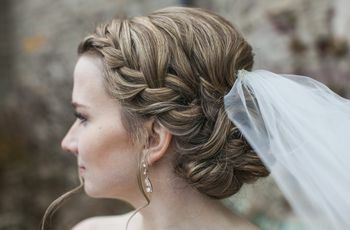 Even if you’re confident that you’ll be able to nail your desired DIY wedding hairstyle, you don’t want to try it for the first time on your big day. 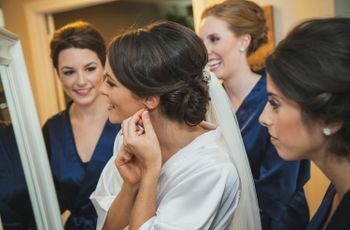 Give it a few practice runs at home in the weeks leading up to your wedding so that you’ll know exactly what to do, what not to do and what tools and products you’ll need. You won’t be able to get the wedding hairstyle you’re aiming for without the right tools. If you want beachy waves, you’re going to need a solid curling wand or iron at your disposal. If you love the look of a sleek, pin-straight pony, you’re going to need a flat iron. Make sure you have one at home or can borrow one from a friend so that you’re not up a creek without a paddle when your wedding day arrives. Speaking of having the right stuff, you’re also going to need to stock up on a few hair products. Things like dry shampoo, hairspray, and pomade can come in handy for creating texture, taming flyaways and keeping your locks in check from dawn ‘til dusk.